How to import computer names from a CSV file? Is it possible to import computer names from a CSV or a text file and create groups in BF. Yes. 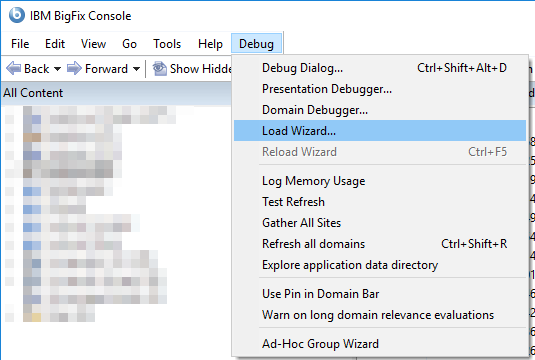 Enable the Debug menu in the BES Console (CTRL-SHIFT-ALT-D). Then select Load Wizard and browse to the file below. You’ll then have an area to paste random computer host names (an Ad-Hoc group). I followed the instruction, there is no load Wizard.